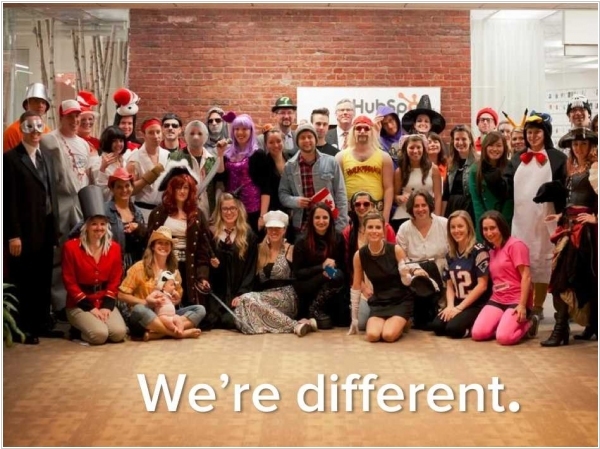 HubSpot is the world’s leading inbound marketing and sales platform. 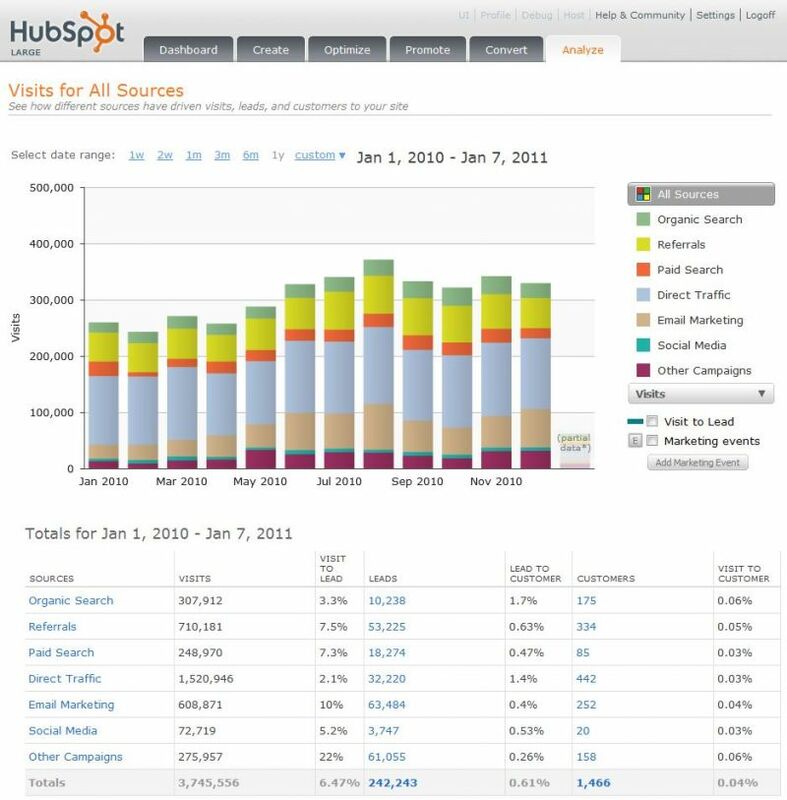 Over 10,000 customers in 65 countries use HubSpot’s award-winning software, services, and support to create an inbound experience that will attract, engage, and delight customers. 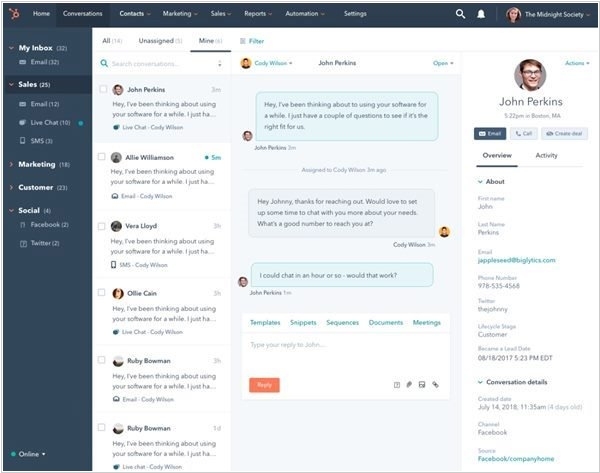 CRM, marketing, sales and customer experience provider HubSpot unveiled a series of product updates that include integrations with Facebook (advertising), Shopify (ecommerce) and a new "Conversations" tool that, with the help of chatbots, unites customer messages into one inbox. 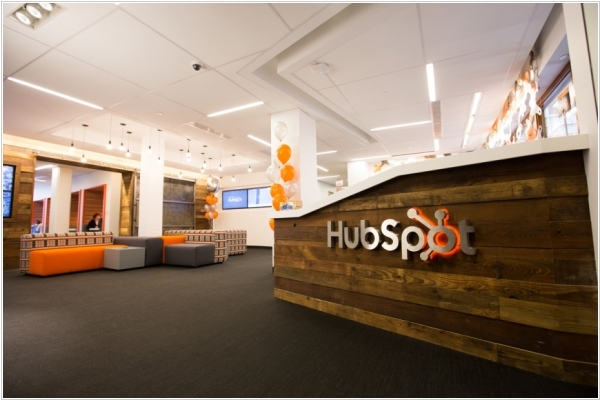 According to HubSpot, Conversations is the evolution of our live chat platform. Having messages in one place is critical for moments like the handoff from sales to support. Features include conversation tie-ins to HubSpot CRM and the ability to build chatbots to aid the conversations process — leveraging technology from HubSpot’s recent acquisition of chatbot platform Motion AI. 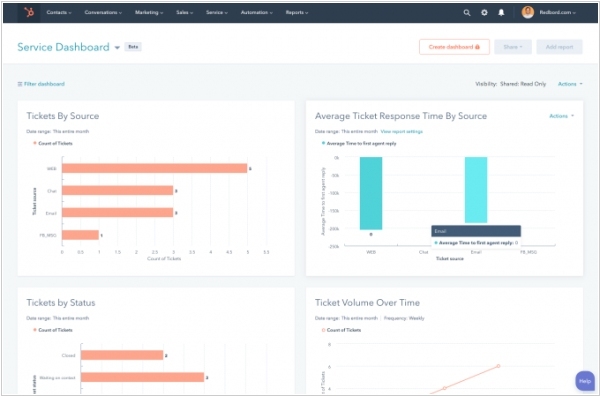 Inbound marketing and sales platform HubSpot has acquired Kemvi, a startup applying artificial intelligence and machine learning to help sales teams. A few months ago, Kemvi launched DeepGraph, a product that analyzes public data so that salespeople can ident ify the best time (say, after a job change or the publication of an article) to reach out to potential customers. It also proactively reaches out to verify leads. HubSpot had been looking for new ways to bring AI technology into its platform to fight alternatives. It found Kemvi particularly appealing because it addressed a real need among salespeople. 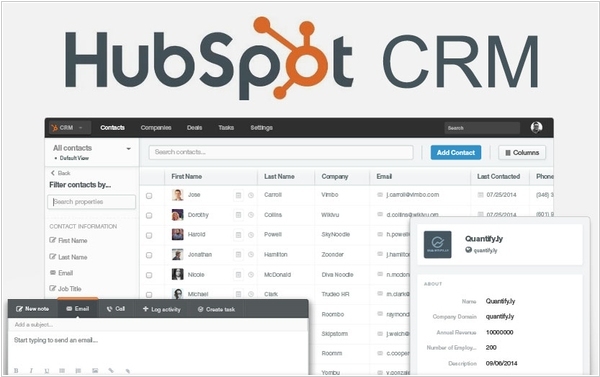 HubSpot, a company best known for its marketing tools, launches its CRM product out of beta. The product is free, but HubSpot’s sales “acceleration” tool, Sidekick, will run you $50 per seat, per month. The company describes the CRM tool as built to help sales reps avoid some of the tedium that comes with data entry and interaction management. Its tool automatically takes in data from a reps sales process, and arranges it in a chronological format. The model of getting free software into companies and then upselling their IT departments is a method that software companies like Dropbox and Box have used to strong effect. There are still costs associated with that sales process, but, certainly, having your products inside more shops does cut some friction.